The mission of Lyonspine Chiropractic is to provide the members of our community with high quality, affordable health care in a comfortable and caring environment. Our team also provides specialized care to all athletes; from kids that are active in youth sports and high school students aspiring to meet their college dream, to adult athletes such as professional athletes and especially the active population known as the weekend warrior athlete. We aspire to help you reach your optimum healthcare needs with techniques geared towards your own personal needs as well as your fitness goals. Dr. Sean Lyons grew up in Saegertown, Pennsylvania until the age of 18 when he relocated to Indiana, Pennsylvania in pursuit of a college education. In 2009, Dr. Sean was in a nearly-fatal car accident that left him in a coma for a week. He had a Traumatic Brain Injury where he couldn’t walk, talk, or eat because he couldn’t swallow. He did months of PT, OT and speech therapy with little result. Doctors informed his parents to be prepared to make their home handicap accessible. He was then referred to a Chiropractor that worked with the same laws and principles that he uses to this day, as his last chance. The moment he was adjusted was the first time he was able to swallow in months, which facilitated his healing process and changed his life forever. In 2012, he graduated from Indiana University of Pennsylvania with a bachelor degree in Natural Science and a minor in Chemistry. Through all of these life experiences, he was being prepared for his ultimate work in life. That work was helping people reach their full God-given health potential. Throughout his graduate school career at the prestigious Life University, he succeeded by consistently studying and researching the most effective ways to be healthy. This is where he met his incredible wife Dr. Kirstin Lyons. Dr. Kirstin Lyons grew up in a small town in Ontario, Canada, where she attended college for Financial Planning Services. Following graduation, Dr. Kirstin decided to pick up and move to London, England to work alongside a chiropractor as an office manager. She had no idea how this move would change her life forever. With the daily miracles she saw happen in the West London Clinic, she decided that her purpose was to help improve the lives of others through chiropractic care. This is where her journey began. Making another big move to Marietta Georgia to attend the best chiropractic school in the world; Life University. This is where she continued her studies in Biology and graduated with a Doctor of Chiropractic Degree. Dr. Kirstin strives to empower her patients to take responsibility for their own health, by providing them with the knowledge and tools to make the most informed decision. Dr. Kirstin aims to be a vessel of encouragement and positivity for her patients’ health journey. As an avid researcher, Drs. Lyons continue their education by staying abreast of the most up to date research on body functionality, eating plans and exercise principles. Our passion is to educate and support as many families as possible so they can reach their God-given health potential through natural chiropractic care. Over the past decade, we have seen God take a dream and make it a reality, as Lyonspine Chiropractic is now among the largest clinics in North GA.
Lyonspine Chiropractic and Drs. 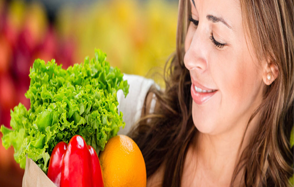 Lyons will continue to educate more and more people on the principles of how the body functions and the importance of honoring God with the body through eating wisely and exercising. 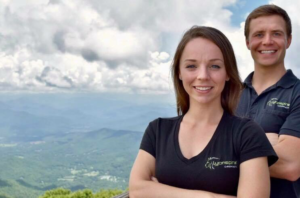 Lyonspine Chiropractic has been changing the lives in North GA since Oct 2017. Since then, they have now become one of the largest clinics in the area, having helped thousands of people ranging from 1 day old to 92 years of age. Every problem you can think of have walked through their door, and that person is better today and has gotten results where other medical and chiropractic systems have failed miserably. Due to our massive impact in their community, state, and country, they have been assigned the position of official Doctors of sports teams in the area. Even though they are doing things globally, Drs. Lyons patients’ have full access to them 24/7 via e-mail or phone because their patients are considered part of their family. Getting them well, and then delivering the best care is their #1 priority. Their goal is to change the way people view and manage their health from the inside out better than any other establishment in the world, and they are getting those results. If they accept you as a patient, they are confident they can help you get the results you want too. 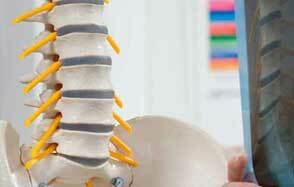 It is our focus at Lyonspine Chiropractic to care for each individual case that enters the clinic. After treating the patient, we educate them in order to optimize their results. Our ultimate goal is that they have the opportunity and knowledge to adopt the chiropractic philosophy of health and share their experience with others. Please don’t take chances with your health! A wellness plan that’s easy to understand and follow is the key to good health throughout your life! Make Lyonspine Chiropractic a keystone in living the life that God intended.